This HDMI switch will allow you to access up to 3 devices that use the high performance HDMI connection. This is the easiest way to expand your HDMI inputs into your High Definition television without the hassle of manually plugging in different HDMI connections to view different sources. Effortlessly switch any device connected with the included remote control. Maintains the highest HDMI video signal. 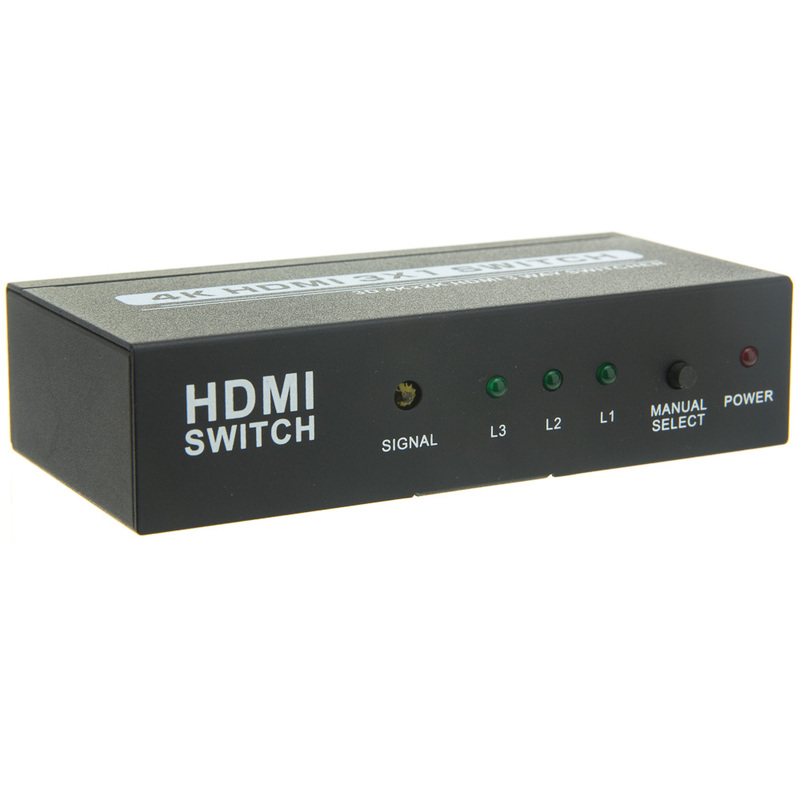 This switch arrives Plug-and-Play for a quick installation without any software. I was shocked to see the high level of quality vs. the low cost. It is VERY compact, and can be operated manually via the button switch on the front, a pleasant surprise. It only needs power to use the unit remotely, and I already have WAY TOO MANY REMOTES, so this was a major plus. The product description says "This switch arrives Plug-and-Play for a quick installation without any software. " That is not correct. The box requires a five volt power supply. Although a USB cable is provided, that does not help in an installation that has no computer -- ours is simply multiple HDMI sources. I can, of course, use a 110VAC to USB wall wart, but that should be noted in the product description.